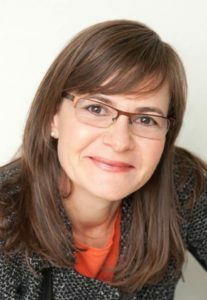 Since immigrating from Germany to the United States, Dr. Barbara Schwarck, CEO of Clear Intentions International (CII), has developed and mastered a unique executive coaching strategy, enabling her to deliver powerful keynotes to a variety of people interested in clarifying, identifying and achieving goals. Dr. Schwarck inspires and enables her clients and audiences to achieve rapid and lasting success with a focus on bottom-line results. She does so using her innovative technique – Neuro Emotional Coaching™. Combining neuroscience with executive coaching, this process helps clients break through barriers and align their intentions in support of their aspirations. Dr. Schwarck inspires breakthroughs in the ways that people think, feel, and behave, thus opening up the space and opportunity for rapid and sustainable change, leadership development, and goal attainment. Dr. Schwarck is a published author (From Intuition to Entrepreneurship), a renowned and frequent lecturer at conferences and seminars, and has appeared on national and local television and radio stations. Barbara's clients and audiences appreciate her firm, results-oriented approach blended with empathy, honesty, humor, and creativity. Professional Certification: Coach certification through the Coaches Training Institute and the International Coach Federation (ICF). A founding member of the International Association of Coaches, past president of the Pittsburgh Coaches Association, and active ICF member. Guest Lecture at University of Pittsburgh. Adjunct Professor at Peace Theological Seminary and College of Philosophy. Doctoral degree in Spiritual Science from the Peace Theological Seminary and College of Philosophy. Master's degree in Public and International Affairs from the University of Pittsburgh. Master's degree in Applied Psychology from the University of Santa Monica. Graduate of Carnegie Mellon University Bosch Institute Leadership in a Multi-cultural Context. Currently serves on the boards of the Executive Women's Council of Pittsburgh; Bethany Hospice; Classrooms Without Boarders; and Women-Drivers, LLC. Mentor for the University of Pittsburgh Institute for Entrepreneurial Excellence and Chatham University's Center for Women Entrepreneurs.